Hello!. 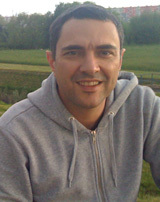 My name is Goran Siric, and I live in Zagreb, Croatia. I am a Microsoft Certified Solution Developer with over 15 years of experience in full lifecycle software development, from analysis and requirements gathering to deployment. I am working at Information Systems d.o.o., company that primary develop pharmacy software solutions. Most of the applications are built in Microsoft Visual C++ on the Oracle database. So those are areas where I have most experience. Last few month I started developing applications for Android platform. Every begining is hard. There are many issues you face when you are not experienced in new platform, IDE and language. Here I will write about my experience in developing for Android platfrom, and I hope that You will find something usefull. Btw: In the Croatian language, "izvorni kod" means "source code"